Amazon is continuing its pop-up store spree, and it's next destination is an obvious one: Whole Foods. The move is in line with Amazon growing its presence in retail stores and most recently, Whole Foods. In August, Amazon (AMZN) acquired Whole Foods for $13.7 billion. The company has since cut prices at the grocery chain and showcased its gadgets at some stores. On Thursday, Amazon said its devices are currently available at more than 100 Whole Foods stores. In October, Amazon launched "smart home spaces" inside 10 Kohl's stores in the Los Angeles and Chicago areas. 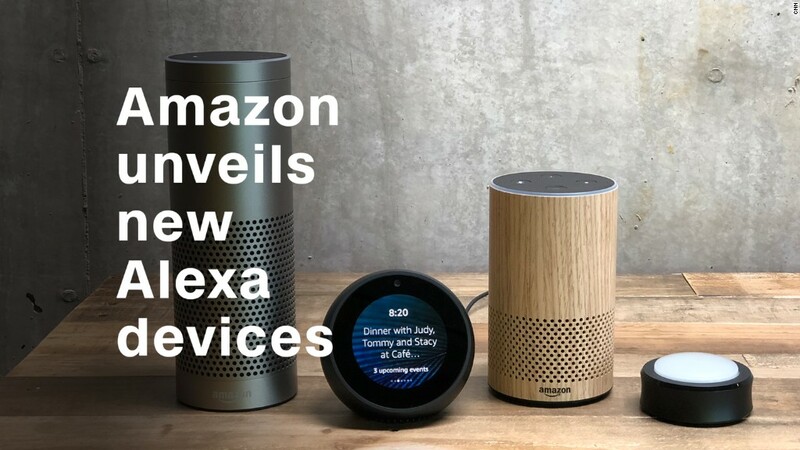 In addition to showing off Amazon gadgets, shoppers can book experts to install these devices in their home. "I suspect we'll see Prime prices or other benefits coming to Whole Foods customers soon," she told CNN Tech. Mulpuru sees other recent moves, such as Kohl's accepting Amazon returns at certain locations, as a way to further appeal to customers. "Shoppers want to return items to physical stores and Kohl's is looking for new ways to drive traffic," Mulpuru said. "It makes complete sense for Amazon to use [physical] stores and those shoppers wherever possible to make the experience easier for its customers."